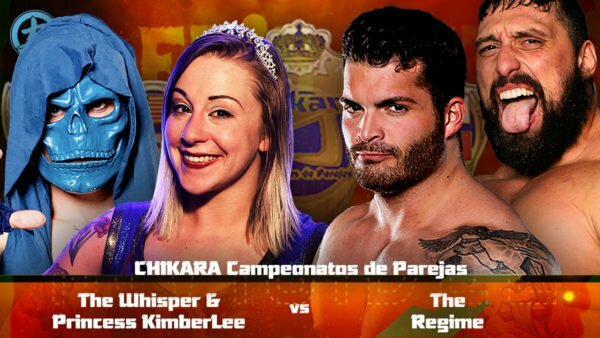 The CHIKARA season 19 finale is finally upon us! The show is titled Let’s Get Invisible and is set to take place on December 8th at the Wrestle Factory. Many issues that have been building all season long may finally end. There are also several first-time encounters which can prove to be fun as well. Let’s dive straight into the action, shall we? 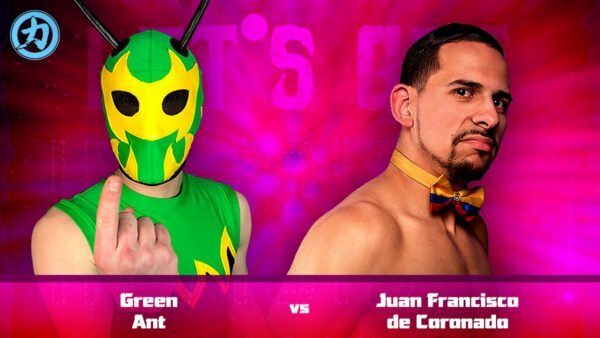 This is a huge opportunity for Green Ant to get some singles glory for himself. In his rookie season in CHIKARA, he has had some great success with the Colony. Most notable is their tremendous win at King of Trios. He has one point on the Grand Championship leaderboard and is looking for his second. His opponent, however, is a tall order. Juan Francisco de Coronado has been a prolific and successful force in CHIKARA. He has made many a great opponent tap out to his Coronado Clutch. While Juan has not fully recovered from losing his Grand Championship earlier this season, he is determined to get it back. Who will end season 19 on a high note? Find out at Let’s Get Invisible! This is Penelope Ford’s singles debut in CHIKARA. She has competed for the promotion before, but as the tag team partner for someone else. The Bad Girl with the cheerleading background will have her work cut out for her. BLANK is eccentric, unpredictable and somewhat unstable. He is known to do just about anything for the sake of his ‘art.’ Penelope though as a lot of heart and has taken on all kinds of opponents for many promotions. Some of her non-CHIKARA conquests are Ashley Vox, Barbi Hayden, Joey Janela, and Travis Huckabee. She’s also faced people like David Starr, Jazz, Ethan Page, Tessa Blanchard, and Taya Valkyrie. Penelope clearly has been exposed to many kinds of wrestlers so perhaps BLANK’s antics won’t phase her. We’ll have to wait and see what happens on Saturday at Let’s Get Invisible! 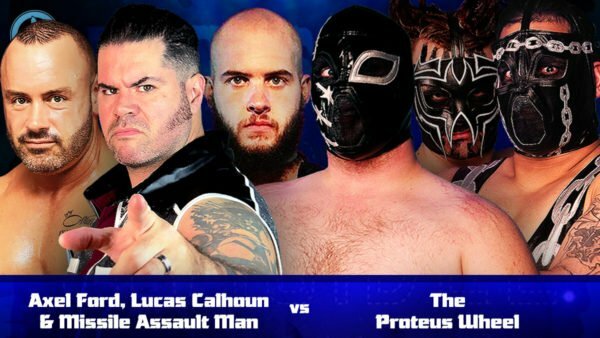 The season-long saga of Lucas Calhoun and his attempts to rid CHIKARA of The Proteus Wheel has reached critical mass. Season 19 has also seen the return of Missile Assault Man in this fight as well as the man called Axel Ford. Calhoun, Missile Assault Man and Ford may not get along, but they do have a common enemy in Professor Nicodemus’ latest creations. Volgar, Frantik and Callux’s mission in life seems to be much simpler in comparison. They continually move forward and seek to crush whoever is in their path. They’re also not too happy right now, having been defeated at Cibernetico: 7 Man Army by The Colony. We’ll also have to see what happens with Professor Nicodemus, he was ejected from ringside at Cibernetico. Another wrinkle added to this already layered story is that this match will be a street fight. This will help alleviate some issues in the past of matches ending due to interference and other shenanigans. Will this war finally come to an end? We’ll have to check out Let’s Get Invisible to find out! Hallowicked was the only member of CHIKARA’s Cibernetico team that did not want to participate. In fact, his defiance led to Boomer Hatfield’s elimination from the match. The CHIKARA original refused to tag in to give young Boomer any respite. And now Hallowicked is determined to teach Boomer a lesson. What that lesson is and what the Broadsword of Nazmaldun has in store, we’ll have to wait and see. Boomer Hatfield, on the other hand, has a real opportunity to prove himself. He will be taking on the most experienced member of the CHIKARA roster and could get the biggest upset of the season. Season 19 has not gone the way The Creatures of the Deep thought it would. At the beginning of the season, they seemed poised for greatness. While they did enjoy some victories, they have yet to see sustained success as a group. The last time the sea-worthy four-some were in atomicos action, they lost to The Colony! Speaking of our ant friends, they are riding the high of defeating The Proteus Wheel last month. Razerhawk and Danjerhawk are looking to bounce back and regain some momentum. They’ve been on the losing end of things at both Don’t Go to Sleep! and Cibernetico: 7 Man Army. This will be a much-needed shot in the arm for whichever group comes out with the W as season 19 draws to a close. We also have some good tag team action in store. Two teams in this quartet, F.I.S.T. and Defarge/Crummels, both have one point on the Campeonatos de Parejas leaderboard. Los Ice Creams and Babish/Leary have zero points. Anyone of these teams would like to end season 19 that much closer to a shot at the Campeons in season 20. Like with the Grand Championship system, you need three points to earn a title shot. Momentum is the name of the game as we prepare to move into another season of CHIKARA. Which team will get that extra push as we close the door on season 19? The destruction of the beloved tag team The Rumblebees has been a central theme in season 19. During the Tag World Grand Prix, the frustrated Travis Huckabee laid out an ultimatum to Solo Darling. Either they win the Tag World Grand Prix, or they split as a team for good. They came up short in the Tag World Grand Prix, and Huckabee left Solo in the dust. Singles competition seemed to agree with Huckabee, who won the Johnny Kidd Invitational and racking up a full three points to challenge for the Grand Championship. He also formed a new version of F.I.S.T. with Tony Deppen and Icarus, who helped plant the seeds of change in Huckabee’s mind as well. What didn’t agree with Huckabee was facing his former partner. He avoided direct confrontation with Darling, and only got his shots in from behind or when she was weakened. Now there is no avoiding direct confrontation as they clash at Let’s Get Invisible! In a twist of irony, if Solo can best her former partner, she will gain her third point. She can then cash these points in for a shot at the Grand Championship. The pursuit of gold is what drove Huckabee from being her friend to her foe in the first place. There are a few factors at play in this match. The Whisper and the Princess became a team by chance via La Loteria Letal. Despite their differences, they were able to make it all the way through to the end and earn this shot at the Campeonatos de Parejas. The Whisper first debuted in CHIKARA back in season 17. Back then, he tormented our fair Princess, stating that he knew of a secret that KimberLee did not want to be shared with the world. Eventually, this blackmail became too much and KimberLee left CHIKARA. She returned earlier in season 19, a much stronger Princess than before. The Whisper did not forget whatever secret he was privy to and reminded KimberLee of this before La Loteria Letal. This secret once again hangs over her head as she teams with her tormentor. It did, however, prove either to not be a factor or helped fuel KimberLee and the Whisper onto victory in that situation. Now there is just one more hurdle left, the reigning Campeons, The Regime. Speaking of The Regime, they have been successful as Campeonatos de Parejas. This will be their fourth title defense. They have faced several different types of teams, so they should be more than ready for this mismatched team before them. There’s only one way to find out who will walk out Campeons and end season 19 on a high note, and that’s tune in for Let’s Get Invisible! Finally, it’s time to talk about the main event. 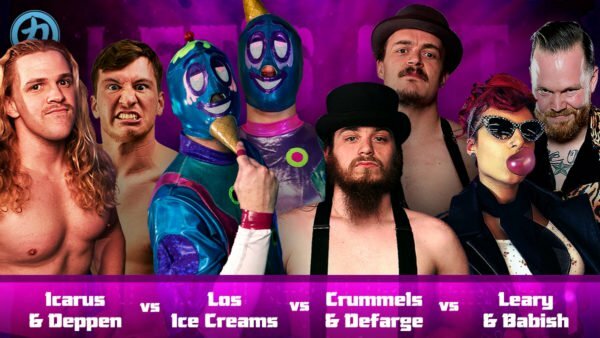 CHIKARA mainstays and icons will clash over the greatest prize in the land. Dasher Hatfield will once again step up to the plate, defending the Grand Championship for his step-cousin-in-law, Mr. Touchdown. Ophidian is on a quest for gold though and the number three repeats itself several times. He just won his third point at Cibernetico 7 Man Army. This will be his third opportunity at the Grand Championship, a prize he has thus far been unsuccessful in attaining. 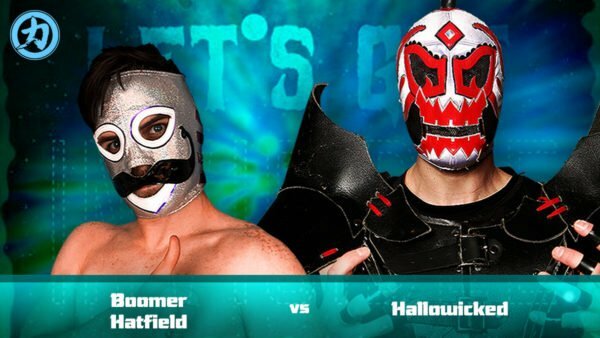 And this will be the fourth singles match between Hatfield and Ophidian. Of which Hatfield has won all three of the previous encounters. The Master of Snake Style finds himself in a snakepit of threes and will seek to charm his way out. Dasher, of course, would love to hold onto the title for Mr. Touchdown. But only one man can walk away from Let’s Get Invisible! and season 19 with the Grand Championship. Who will it be? There are many ways to view CHIKARA events, including Let’s Get Invisible! You can subscribe to CHIKARAtopia for $7.99 a month and get access to all CHIKARA content. You can also subscribe to Powerbomb.TV for $10 a month. For that ten bucks, you can get access to CHIKARA and over 100 other promotions’ content. Both services offer a free trial period for new subscribers. My name is Brandi, I'm 28 years young and have been a wrestling fan since the tender age of 2. My love of writing grew from school and I soon found ways to merge my two loves. Aside from writing and the pro graps, I love to do crafts and read. I was born and raised in Alaska, which is also where I currently make my home. Hit me up, I love to chat!